It took a while, but Capcom has finally revealed that, yes, it is also planning to release a bunch of its arcade titles on the Virtual Console outside Japan. We already discovered some of the titles a while ago, but it's now added one more game to the list. 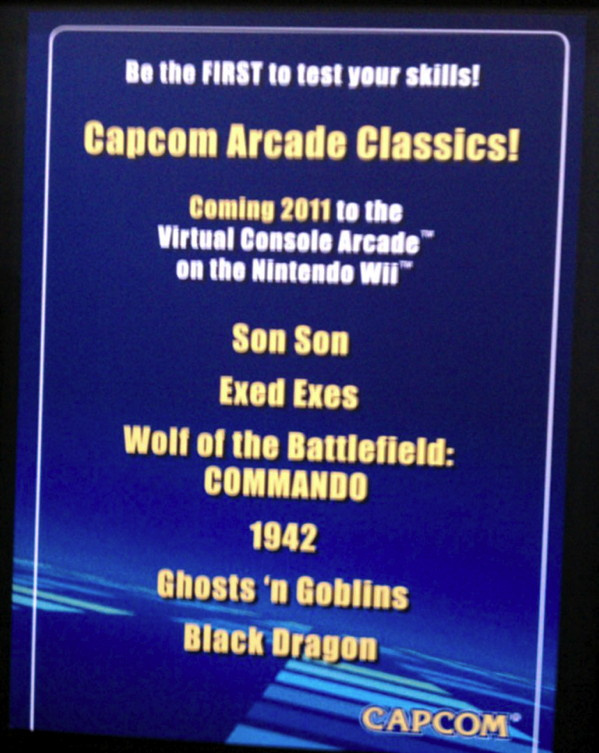 Listed on a small poster in Capcom's booth at the Comic-Con in New York are a total of six titles it plans to release. Not very soon, though, unfortunately: we won't be seeing any of these until 2011, but at least you can already start getting hyped. Will you be getting any of these when they're released? Not bad, but lets get those CPS1 games out there too, ok Capcom? ...they're concentrating on their early games to start off with. If we're going to complain about Darkstalkers this early then there's a whole bunch of nineties arcade games to also complain about. Its pointless complaining so soon. Not interested in any of these. Capcom's early arcade games really don't appeal to me much do. They won't do it, but I'd laugh if they released "Wolf of the Battlefield: Space Invasion" in Europe (Space Invasion being Commando's European name). Weird they only announced 1942 and not 1943 as well. Finally! I wanted 1942 for like 20 years now! Not an impressive list, but at least they are supporting. i don't really care to much for these games. Was it released in the the eighties? If not then there's your answer. Clearly they're not doing nineties games right now. They'll do so later but not to start off with. More will come after these. These are early games. Fine, but why mostly games, that belong to museum? Where is my Gunsmoke, for example? Its still awesome game!!!!!! Black Tiger and Exed Exes....nice! I would like to see Gargoyles Quest please! 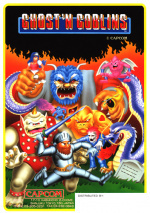 I can't wait to lose life after life in the original ghosts n goblins! I want my pacman even thought this isin't the right company. I will buy 1942 and Exed Exes. Nice to see. 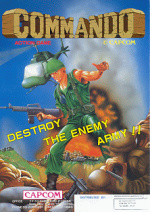 I'll be getting 1942 and Wolf of the Battlefield: COMMANDO. I MIGHT try my hand at a couple others. 1942 and exed exes. best two games on there. 1942 and commando for me. 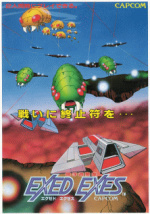 ...actually the Black Dragon game looks pretty awesome. Ooh, 1942? I remember playing that in the arcade. (Still do, along with Crusin' USA) Might pick it up. After you're done that Capcom, give us Mega Man 5! Finally, a little love for VC Arcade. Son Son, Black Tiger, and 1942 for me. Good job Capcom. Some early 90's Arcade lovin would be nice. Willow is based on a movie, so that won't be coming. 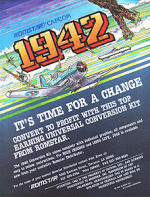 Definitely getting 1942, it looks much better than the NES version. I also might grab Exed Exes and Black Dragon. 1942!!!!!! One of the best vertical shooters, hands down. Possibly the 2nd best ever made (first being Tyrian). Also, Ghosts 'n Goblins is great too. I'm not stoked. Konami, Marvel, and Activision just made a deal to release that 90's arcade game X-Men for Xbox Live Arcade. I feel like the Wii could be getting more from Capcom. This IS more. I mean heck, VCA has been dead for the longest time. Now we get a bunch of good ones. Sure, XBLA is getting X-Men Arcade, but that's only great if that's your thing. At least here we're getting both variety, and a promise of steady support. While I like X-Men, I don't particularly like Beat 'em ups, so I'm not sure I should be stoked about that, and I'm definitely gonna have to try the demo. I would've bought Children of the Atom day-one, though. Really. 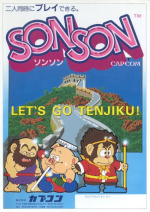 If Capcom wants to sell arcadegames, they should start off with the good ones. It´s not very smart to release games in chronological order, since very few Wii owners have even heared about these games before (Except for Ghosts´n Goblins). Most of these games haven´t aged well and honestly, Black Tiger/Dragon and Exed Exes weren´t any good to start with. The thing is, these games still have to be sold at some point. If they started with the later good ones then when it comes to releasing these early games, they will get even less sales than they would now. I do agree with you, it would be more preferable to have gotten later games. Hard to get excited when I can play all but one of these games on the X-box 'Capcom Classics Collection' disc along 17 other games (which cost me about £5.00). Black Dragon looks good though, never played that one so will get it. To be honest, I'd prefer SEGA stepping up their arcade support as their arcade compilation discs were previously limited to a few familiar games and not so widely available on modern consoles. How is Xbox Live Arcade getting an X-Men game when that's a licensed property? If they're getting that, I want the 2 Genesis X-Games on VC dang it! How is Xbox Live Arcade getting an X-Men game when that's a licensed property? Its not impossible, just that they're usually more trouble than they're worth in going through all the proper channels and the expenses needed to re-aquire the rights to release the game again. 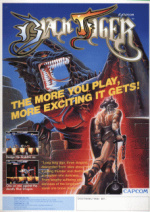 I never knew there was a game all about theblackdragon! This lineup looks pretty good! CAPCOM would be releasing their Phoenix Sage game alongside Black Dragon, but the content has been deemed unsuitable for minors. ...And pretty much everyone else, too. whoopee. these are not stellar titles considering capcoms library. It's one thing to sell older games first but come on - do we really need games this crusty when there are so many dozens of other classics that are at least a little more modern in production value? These should be an afterthought. if this is all that's listed now for 2011, than all the other greats won't even make it before we have a newer console out. Sounds like the x-box people did, in fact, get more than we did out of their arcade DLs than we will this generation. At least give me some arcade Strider and I'll have some hope. Strider, final fight, ghost & goblins, ghouls & ghosts, arcade street fighter II's. They're already giving us Ghosts & Goblins, timp. Yeah, just listing my pick of capcom arcade games I would love to see. 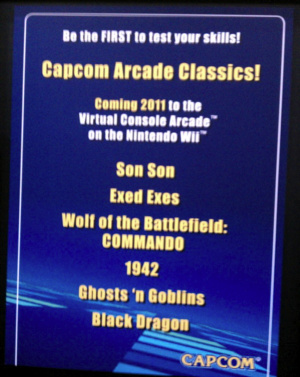 Hopefully ghosts n goblins is a big success when it comes out next year and they release other popular titles. It is a shame though in a way, they release a several games that nobody really wants just to make content for the VC platform. They should just concentrate on the ones that will sell, like those that i've listed... isn't that how you are supposed to run a business? I'm sure they're just releasing the ones that are the easiest and cheapest to port. They should just concentrate on the ones that will sell, isn't that how you are supposed to run a business? There's been a lot of dumb choices on the VC throughout its history. There should be no game scoring below 5/10 on Nintendo Life. All the games scoring 4/10 or below (of which there are several, even some well known titles) should never have appeared on the VC in the first place. Yet companies continue to release their crappy games and then claim that the VC isn't popular because they aren't selling. No Marvel vs Capcom 2, or Street Fighter Vs Marvel all-stars. Come on, these are all on the capcom collections! Silent Debuggers is a damn good game! I'm still waiting for Namco to release Solvolu and StarBlade on VC! If only they didn't hate North America.